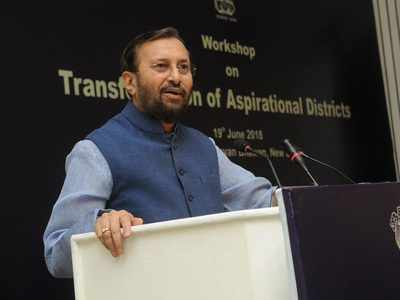 Teachers of government schools from across the country can now directly send their entries for National Award, Union HRD minister Prakash Javadekar announced on Wednesday. Till last year, entries for the award were selected by the state governments. “In the new system, government school teachers or principals can nominate themselves online. Three teachers will be selected from every district and ultimately six teachers will be selected from every state. An independent jury at national level will select 50 outstanding teachers/ heads of schools for the National Award. Teachers can also upload the videos of their work done,” Javadekar told reporters here. The jury will select the best teachers for the award on the basis of their style of teachings and innovations and revolutionary changes in education system.